Despite not acquiring Anthony Davis, the Los Angeles Lakers were busy at the trade deadline, completing two deals that they believe will address their need for outside shooting. However, Reggie Bullock and Mike Muscala won’t be the only additions the Lakers make before season’s end. 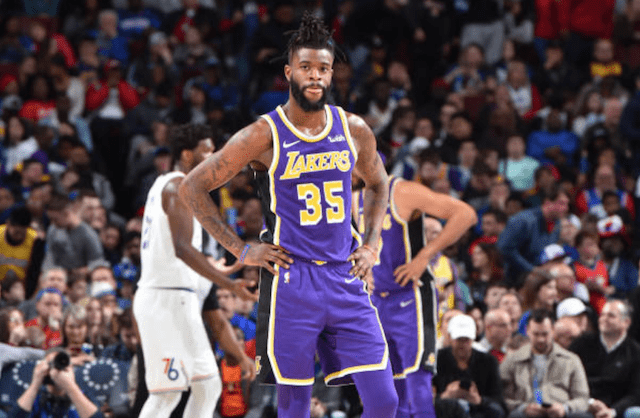 By trading three players (Michael Beasley, Ivica Zubac and Svi Mykhailiuk) for two, Los Angeles now has an open roster spot that they will fill with one of a number of intriguing candidates from the free agent ranks that has had an influx of talent due to players being bought out. Here are some of the top options for the Lakers to round out their roster with. Markieff Morris: Twin brother of Celtics forward Marcus Morris, Markieff was once thought to be one of the up-and-coming stretch fours in the NBA after breaking out with the Phoenix Suns in the 14-15 season. He has never fully lived up to his potential, but he has consistently shown himself to be a dangerous scorer when he gets minutes. 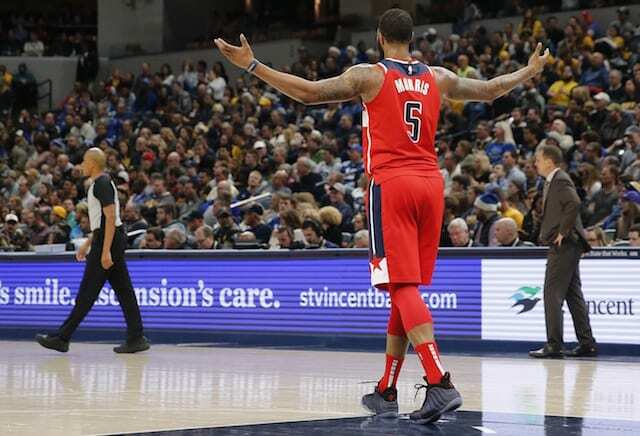 At 6’10” he could also play some small-ball center, and after being traded from the Washington Wizards to the New Orleans Pelicans and then released, has become someone the Lakers reportedly are giving serious consideration to signing. It also doesn’t hurt that Morris’ agent is Rich Paul of Klutch Sports, who also represents Kentavious Caldwell-Pope, LeBron James and Davis, and just did all he could to get the Pelicans to get Davis traded to the Lakers. That said, there could be a bit of skill set duplication with Mike Muscala, who Los Angeles made the controversial decision to trade promising young big Zubac to acquire. Morris has been sidelined since early January due to transient cervical neuropraxia, but the hope is that he will be ready to play soon. If he’s healthy it would appear that Morris could very well be headed to the Lakers. Carmelo Anthony: Sometimes, it’s about who you know. Anthony has seen his last two teams, Oklahoma City Thunder and Houston Rockets, both improve after his departure. Houston only kept him around for 10 games before asking Anthony to stay home, which couldn’t have sat well with the 12-time All-Star. Now 34 years old and with a game that relies on long twos, which are now frowned upon in the analytics-heavy NBA, it would appear that Anthony’s career is in serious jeopardy. He has been linked to the Lakers for some time, however, thanks in part to his friendship with James. Anthony has struggled on the defensive end of the floor and his scoring efficiency has plummeted, but James believes that his friend still has something left in the tank and that may be enough to land Anthony in a Lakers jersey. It’s not completely out of the question for a minor resurgence from Anthony if he can accept that he’s no longer a star and adapt to a specific role, like ageless wonder Vince Carter has. He will first have to prove to the Lakers that he is healthy and in shape after not appearing in an NBA game since early November. Robin Lopez: While it’s not clear whether or not Lopez will actually be bought out it would make a lot of sense given the Bulls’ struggles this season and their desire to build around younger players. Despite entering the season intending to play small, the Lakers have been at their best with a traditional five on the floor. JaVale McGee and Tyson Chandler do an admirable job filling that role, but with Zubac now across the hall with the Clippers, the Lakers are relying on both veterans to stay healthy. Muscala can and will spend time at the five, but Lopez would give them another true big to lean on. Of course, after failing to bring twin brother Brook back last summer (who has been the bargain of the summer for the Bucks) it’s not clear whether Robin would be interested in joining the Lakers. Enes Kanter: Yet another center, Kanter can be a force on the boards, averaging 10.5 per game overall and 3.9 on the offensive end. He’s also chipped in 14 points on 54 percent shooting and 82 percent from the line, and at 36 years old he should have more in the tank than most on this list. The downside is that Kanter doesn’t offer much in the way of rim protection, which is critical to a Lakers team that uses their bigs to deter drives to the basket and force guards to settle for long twos. Kanter may also want more minutes than the Lakers can offer but he would be an intriguing candidate nonetheless.